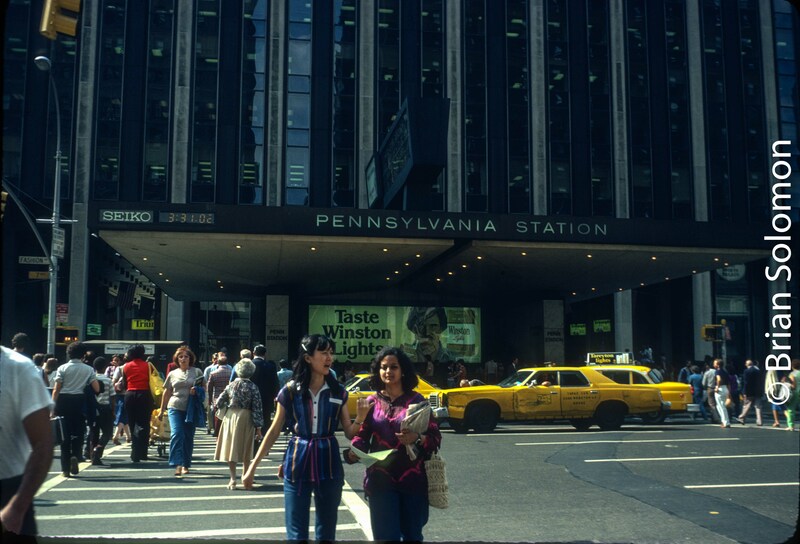 New York’s Pennsylvania Station; 1979 and Last Week. Call it then and now. 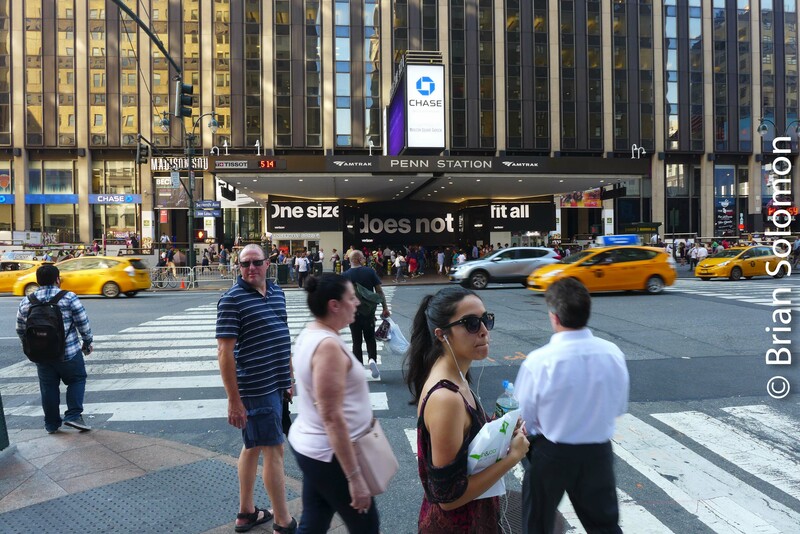 Both photos were made from the same vantage point on New York’s Seventh Avenue looking at the entrance to Pennsylvania Station. From a Kodachrome slide exposed with my Leica in 1979. Last week: July 2018, I made this view from the same place as my 1979 color slide. This time I worked with my Lumix LX7. More than just the Taxis have changed. Back in 1979, there were still GG1 electrics down below. And I’ve got those on film too! Previous PostBrian’s Visual Puzzle in THREE photos.Next PostLightening the Lake Shore—July 9, 2018.